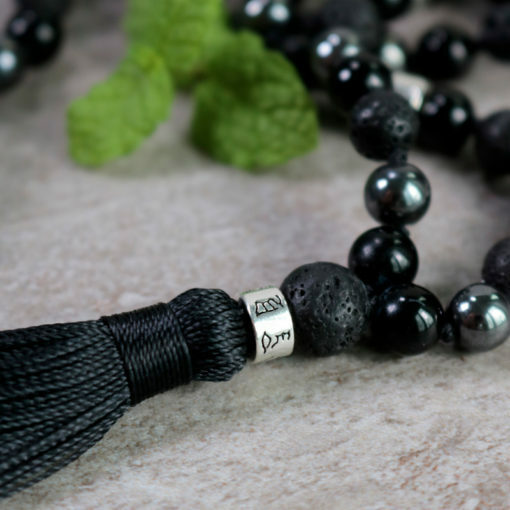 Strong and grounded mala is a mala that strengthens self-control, stimulates wise decision-making and gives the wearer courage, peace and trust. It is a arfully hand-knotted mala in the zen style that consists of 108 + 1 stones of lava, onyx and hematite together with Sterling Silver 925 details with Om Mani Padme Hum mantra. Onyx is said to give both happiness, success and luck. The receptive character of the onyx helps us to absorb the forces and the energies of life and the universe that we need. It balances difficult conditions, the masculine side of the feminine and sexual charges so that there is no overvoltage in any direction. It also provides the power to dare to let go. 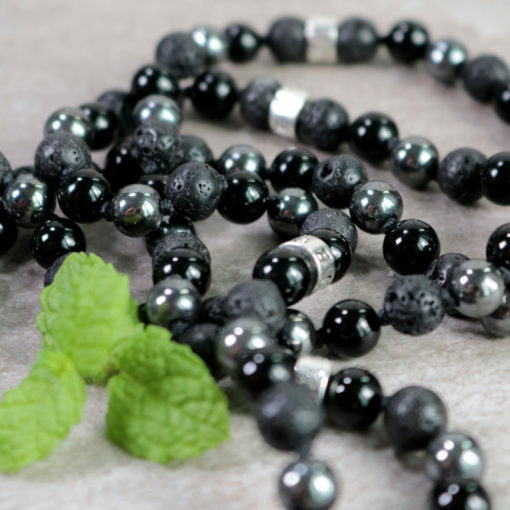 Hematite helps you break bad habits and can be called the stone of the intellect or mind. It has a calming, relaxing effect and helps you come down to earth and be more anchored in your body. 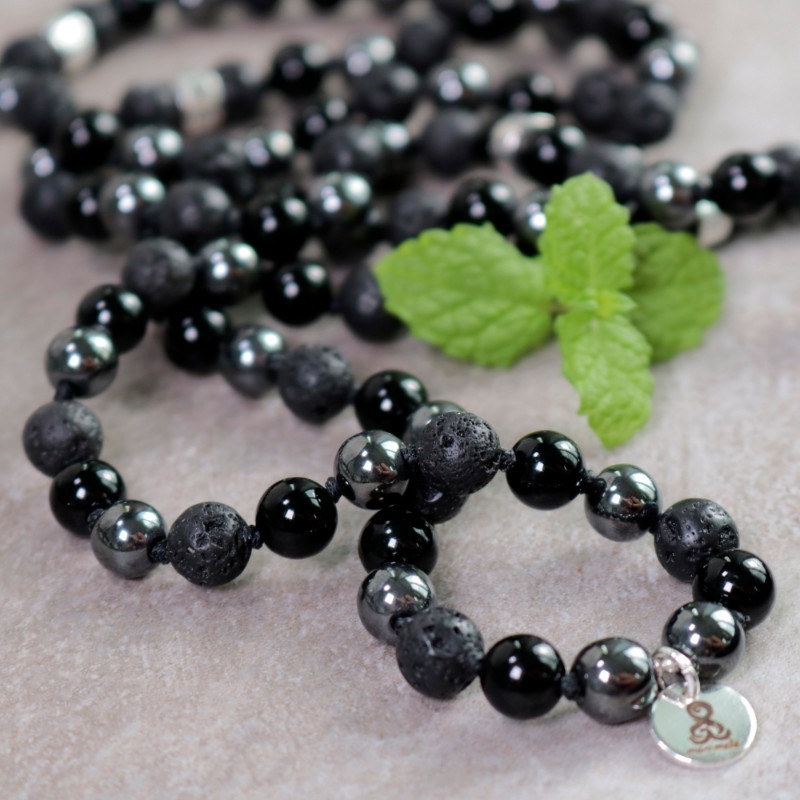 The hematite also stands for balance between yin and yang, male and female. It gives the user or wearer courage, peace and trust. Protects against depression and helps with wounds that do not want to heal. Lava represents the elements of fire and earth. The stones are rich in minerals from the depths of the earth’s core and the fire is associated with energy, self-esteem and passion, while soil stands for more practical qualities, restraint and materialism.